This post will continue to be modified for at least a month from the publish date. I just didn’t want to wait another month before publishing, so people can start to get some use out of it early. If you have resources, comments, anything you think that could be useful to others, please add a comment and if it makes sense, I may add it to the post. This will also be used as a resource for the attendees to the CHC.JS MV* Battle Royale meet-up. Unlike Angular and Ember, Backbone is a small library. Marionette adds quite a lot of extra functionality and provides some nice abstractions on top . All mentioned frameworks/libraries are free and open source. The idea is that you can work through a decent size selection of applications that all do the same thing. There are also a couple of Todo apps (vanillajs and jquery) that don’t use a framework at all. There’s a template to use as a starting point, so you can create your own. Just bear in mind though, that the TodoMVC app doesn’t really show case what Ember and Angular has to offer. On Addy’s post There are a collection of good points on how to create your selection criterion under the heading “Our Suggested Criteria For Selecting A Framework”. I’ve heard a few times that “all you really need to do in order to make an informed decision on which framework or library to go with is just write a small app for each of the frameworks, do a bit of reading and maybe watch a few screen casts. Shouldn’t take more than a day”. I disagree with this. I don’t think there is any way you can learn all or most of the pros and cons of each framework in a day or even two. Depending on how much time you have, my recommended approach would be to go through the following activities in the following order (give or take). Spending as little or as much time as you have, ideally in a few iterations, for each of the offerings you’re investigating. Evaluate on features you (definitely or may) want verses features available. Features need to be learned. If you don’t need them, you will probably be better going with the offering that doesn’t have the features you don’t need, but has the architecture to add them (thinking Backbone) if/when you do need them. Are the features implemented in an architecture that you believe is good (I.E. are the layers muddied)? Read some blog posts, tutorials. Read some opinions and evaluate for yourself. Opinionated framework that has Models, Views and Controllers, but does not conform to the MVC pattern. Igor Minár, Miško Hevery, Vojta Jína. Backed by the commercial giant Google (you decide whether that’s a good thing). Directives: used via Non HTML compliant tags, attributes, comment and class names. Although there are options to make it compliant: via the class (not recommended) and data attributes. scope. 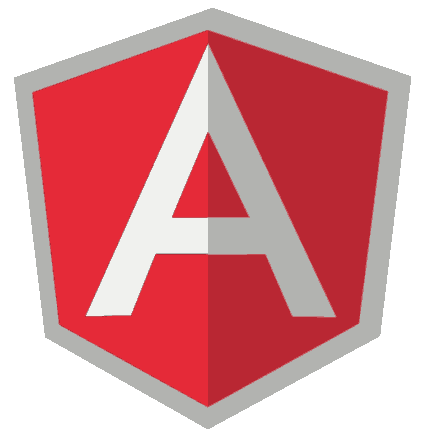 The first half of this video shows how the scope may be confusing to those new to Angular. If I can not tell how code will work without running it, it violates the Principle of Least Astonishment (PoLA). It seems quite clunky to me. Steep learning curve compared to Backbone, but not as steep as Ember. Dirty checking to keep views and models in sync is costly. Ember keeps sync in a more elegant way. Possible perceived downside to this is Ember models have to inherit from DS.Model (next point addresses this as a positive though). Also discussed here under the “Performance issues” heading. Yehuda Katz, formerly of Rails and SproutCore projects. Tom Dale, Peter Wagenet, Trek Glowacki, Erik Bryn, Kris Selden, Stefan Penner, Leah Silber, Alex Matchneer. Aggregates model data changes and update the DOM late in the RunLoop. Well defined models and computed properties (See Angular negative point around this). Steepest learning curve out of the three. Why? Because there’s more in it. If you need it, great! Maybe you don’t. If not, is the extra learning worth using it? Part of the “more in it” may also be around the elegant way things have been designed, I.E. more constraints to push the users down the right path, thus higher chance of less friction and pain in the future of your application, that is of course if your application does things they way Ember says they must be done. I’m seeing some of these things in the likes of the well defined models and computed properties. Payload is the largest out of all three. 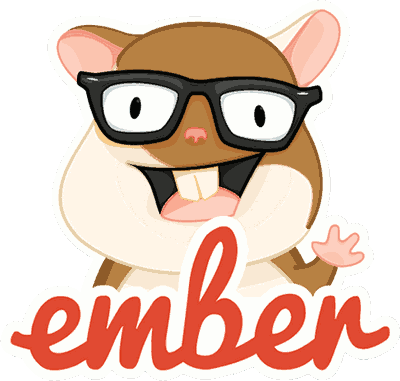 ember-tools. Listen to and/or read the pod-cast linked to above. Provides file organisation, scaffolding, template pre-compilation, generators, CommonJS (that’s node.js style) modules. and other goodies. Useful for setting up your project to conform to the Ember conventions, so you don’t end up fighting them. Don’t believe everything you read. Test it before you buy it. I’ve come across quite a few articles that are just incorrect. Even by reputable people. Sometimes because the frameworks have changed how they do things and/or their documentation has changed. So don’t just take it all at face value. The concept of MVC has changed over the past decade. Although concepts have changed, a pattern doesn’t change, that’s why it’s a pattern. Something everybody familiar with a pattern understands. If an implementation starts to change, then it no longer conforms to the pattern and should not be named after the pattern, as this just brings confusion. Microsoft’s ASP.NET MVC framework is a perfect example of this. It does not follow the MVC pattern (documented in 1979) and so should never have been named MVC. Ask me in the comments to explain if your not aware of how this is. In the MVC pattern Models are not injected into views by Controllers. 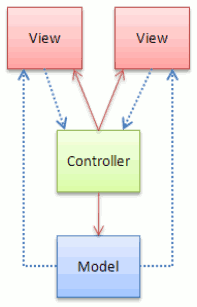 With the MVC pattern, Views listen to events from a Model (The View is actually oblivious to the Model) which the Controller has hooked up, since the Controller knows about both the View and the Model. This may not be your understanding of MVC? More than likely this is due to certain frameworks being labelled as MVC when they are not, thus bringing the confusion. The following image provided by Gang-Of-Four depicts the MVC pattern. Personally I find both frameworks have opinions that make me nauseous. With all the bells and whistles, both frameworks impose strong opinions that you must follow in order to make the magic (in a lot of the cases convention) work. Once you’ve learnt Angular and/or Ember, productivity is maximised. But… you must be building your application the way the framework creators want you to. At this stage, I’m not supper comfortable with that. This is where Backbone and friends comes in to its own. Backbone is an unopinionated library that has Models, Views but no Controllers out of the box. That’s right, a library rather than a framework because your code needs to know about it, rather than it knowing about and executing your code. It does not follow the MVC, MVP or MVVM patterns. It’s views and routers act similarly to a controller. Marionette brings the controller to Backbone (if you want or need it), thus you can keep your router doing what it should be doing (just routing, with no controller logic). What I find strange is that a Backbone view contains a model. I’m not sure I’d even call this a MV* library, as it may introduce confusion. Backbone’s sweet spot is providing the user with brief and casual interaction. Doesn’t provide help or guidance with deallocating memory and detaching events. Assumptions are that the user isn’t going to be using this application all day without closing the browser window. Although in saying that, there are many applications that use Backbone for this type of thing, but they must provide explicit code to release event handlers. Marionette provided some help here for older versions of Backbone. and Backbone has improved things with newer versions. You will still need to keep in mind that event handlers need to be released though (Backbone’s view.remove takes care of this now). Marionette provides abstractions to deal with these like the close method which provides a place to add clean-up code and then calls Backbone’s remove. Failing to remove event handlers are the largest cause of memory leaks in Backbone. IRC: #marionette on FreeNode. Little activity. The second half of this video shows the difference between Backbone and Ember performance. What I’ve seen to date, is that in terms of performance, Backbone leads, second is Ember, third is Angular. You need to decide how much performance matters to your situation and whether or not it’s “good enough” for the framework/library you choose. Plugging in MarionetteJS. 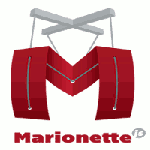 This resource is about adding Marionette to a MongoDB document explorer. Also features source code. 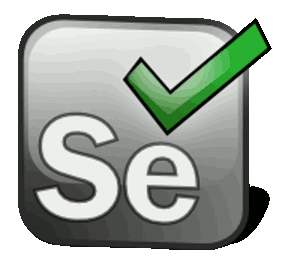 Free to use any templating engine. You can use underscore as it’s the only dependency of backbone, or any other of your choosing. Easy to learn (not a lot of it). Payload including dependencies is the smallest out of all three. About 9 times smaller than Ember. No two way data-binding. Although if you want/need it, you could use the likes of the data binding offerings below in the Interesting Plug-ins section. More work required to build large scale applications than the likes of Angular or Ember (just a library after all). If your large complex application is written in Backbone, chances are you have added a lot of boiler plate code. Any new developers coming onto the project will have to get up to speed on this code. If your large complex application uses Angular or Ember and the new developers coming onto the project have worked with these frameworks, they more than likely won’t have to learn the boiler plate code that they would have to with the likes of Backbone, because it’s part of the framework. There is a similar offering: backbone.layoutmanager which I haven’t really looked into, but according to Derick Bailey (Marionette BDFL) is more of a framework where as Marionette is a library. NYTimes backbone.stickit “is a Backbone data binding plug-in that binds Model attributes to View elements with a myriad of options for fine-tuning a rich application experience”. What looks to be nice about this is that unlike most model binding plug-ins I’ve seen, it doesn’t require you to add any extra tags like Angular to your view. In fact your views are not contaminated at all. Backbone.routefilter plug-in allows you to add behaviour that will be executed immediately before and/or after a route (Backbone.Router or Marionette.AppRouter) executes. Once you bite the bullet and decide to invest in a framework, you often have no easy way to move your code out of it. we really need to keep our investment separate from the library/framework code. Is to keep the core functionality separate from the user interface code, thus giving us two separate layers. This gives us flexibility to swap user interfaces as they come and go, yet still keep the majority of our code in an API layer. The API layer being a logical single layer, but can be modularised, and loaded as needed, AMD style. With this separation, we can implement the two layers in the following manner. This is the part you write with the intention of keeping and possibly using parts for other projects also. This base layer will implement an API that you will want to spend a bit of time getting right. This is the code that will make the most use of unit tests. To get the separation clear in your head, think of the user interface code as a client that uses this API as if it was service API sitting on the server. This way you can avoid creating leaky abstractions. 2) Use an MV* library/framework to implement the user interface, and call into the base layer directly. This lets you move quickly and focus entirely on writing the user interface. This architecture should facilitate building your user interface on a solid foundation and avoid investing heavily into an offering that you may want to swap out further down the track. In most browsers, just including a script tag will cause the rest of the page to stop rendering until the script has loaded then executed. Which is why if loading scripts synchronously, they should be concatenated, minified, compressed and included at the bottom. Loading scripts asynchronously don’t block, which is why you can load multiple scripts in parallel where ever you want (any more than 2-3 concurrently and performance will degrade). Make sure to concatenate your scripts though. What we see as our projects get larger, is that scripts start to have many dependencies in a way that may overlap and nest. The simplest way to load asynchronously is to create a script tag and inject it into an existing DOM element on your page. Because the DOM element already exists, the rendering is not blocked. // Create a new script element. // Find an existing script element on the page (usually the one this code is in). // Set the location of the script. // Inject with insertBefore to avoid appendChild errors. If you want or need to get serious about script loading (which you’re probably going to have to do at some stage), use a best-of-breed script loader. This will also push you down the path of defining modular JavaScirpt (AKA modules). Tom Dale (core team member on Ember) also has some interesting ideas around why he thinks AMD is not the answer. 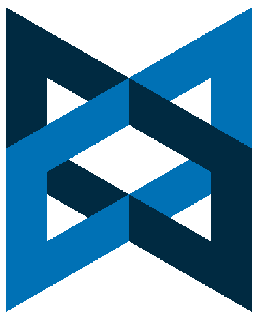 ES Harmony (Modules implemented in the language. were not quite there yet, but the current offerings look to be a pretty good step in the right direction). http://addyosmani.com/writing-modular-js/ (specifically “ES Harmony” section) discusses where TC39 are going in regards to implementing modules in ES.next. So AMD and CommonJS can be used on server side or client side. In some cases one will work better for you than the other. You’ll need to do your homework as to what to use in which scenarios. Both have advantages and disadvantages that may work for or against you. I’m keen to get a discussion going here on peoples experiences with the three MV* offerings mentioned. Especially those that have experience with two or more. I’ve recently undertaken another round of evaluating .NET mocking (fake/substitute/dummy/stub/ or what ever you want to call them now) libraries. Interestingly the landscape has changed quite a bit since last time I went through this exercise, which was about two years ago. 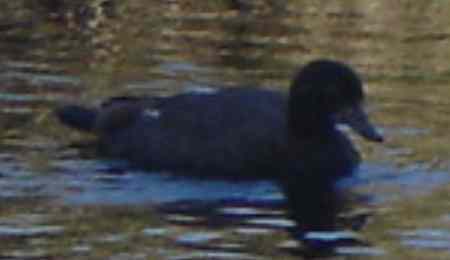 The outcome of the previous investigation is at the bottom of this post. Who is the creator. I’ve favoured teams rather than individuals, as individuals move on, then where does that leave the product? RhinoMocks is a prime example of this. It’s was an excellent library. maybe a new owner, maybe not. Does it do what we need it to do? Are there any integration problems with all of our other chosen components? Works with .Net versions the development team are using. Any other complaints around integration? BDFL has 534 commits. Next highest is 30. 4.5 years old. Recent activity. Very easy to read, well thought out syntax. Nice spread across contributors. No single point of failure. Not free and closed source. If you happen to have a Telerik Devcraft bundle you’ll be entitled to one free JustMock license. Not much help if you want to use all the features across the team. There is a light free version which has most/all of the features that most development teams would require. It would have to be head and shoulders above the rest to warrant paying for it. Going on the feature set I don’t think it is, but I haven’t used it. Plus I have more confidence in the right open source offerings. Light edition is free, but I don’t see any reason why they couldn’t remove this offering or put a price tag on it. Are we prepared to invest building code around this with the possibility of it becoming not free? Doesn’t appear to be a lot of community around the free edition. Last release was 2013-11-18 previous to that it was 2.5 years ago. Last activity: 3 years ago. Has a new owner (MIke Meisinger), but I haven’t seen any new work yet. There were also NMock and TypeMock which didn’t evaluate high enough this time or last time. somewhat out of date documentation, but more of it than the above link. Community, Download, More code examples here. Example of the old record/playback syntax as opposed to the new AAA syntax. Keeping up to date on the progress of Rhino Mocks. The most popular mocking framework two years ago. Clean discoverable API design and lack of complicated record/playback model, which is nice. Have used this, and haven’t had any issues I couldn’t get around. Commercial product (expensive, so not really viable). Ability to mock anything including statics, privates and events on multiple languages. I’ve just started using NSubstitute and have used Rhino Mocks, Moq and NMock previously. Feel free to offer your experiences on the mocking libraries you have used and comparisons. I’d love to hear your experiences with these and other mocking libraries.